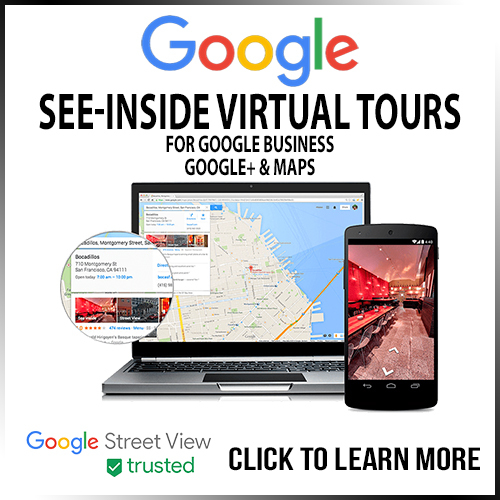 Google has created a new way for businesses to be seen, based on their “street view” mapping technology, known as Google Street View|Trusted. 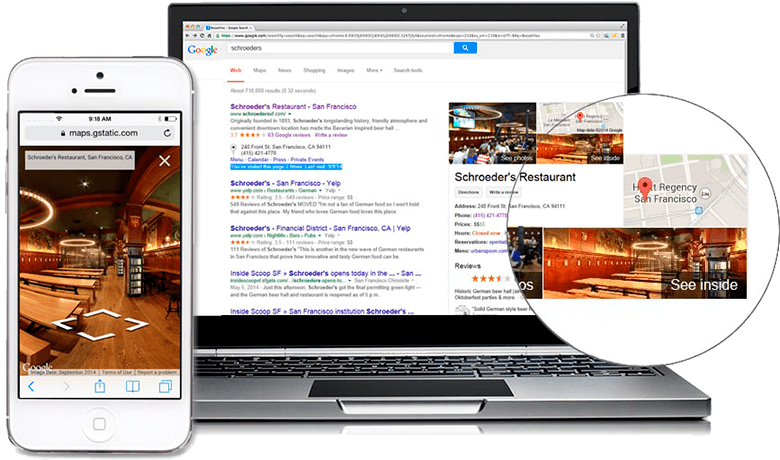 To assist in this effort Google has trained photographers, and agencies alike, to capture multiple 360-degree panoramic photo shots of a business or storefront to create an easy-to-use interactive tour that can be seen 24-7, from anywhere in the world. 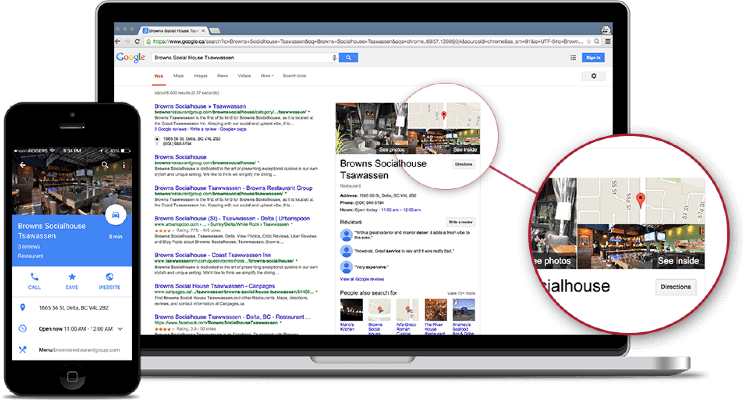 We have earned that designation from Google. 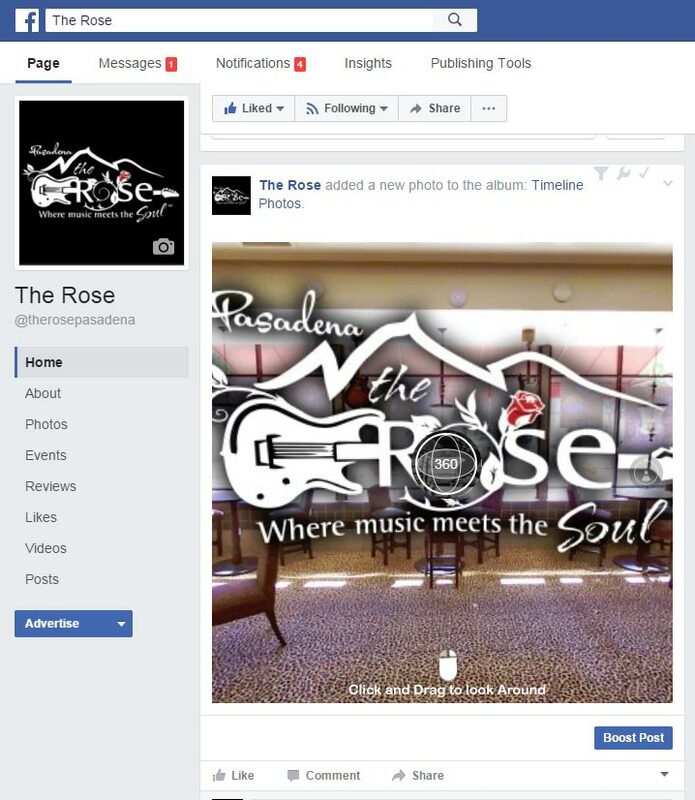 Give customers a full view of your business on all media platforms. 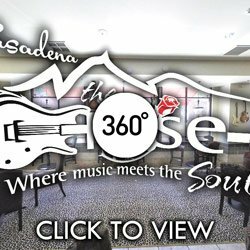 360 degree Photos and tours can be Embedded on Sites or posted on Social Media. We know that businesses come in all sizes…. so if what you have in mind isn’t covered above, contact us and we will work out an option just for you and your business. 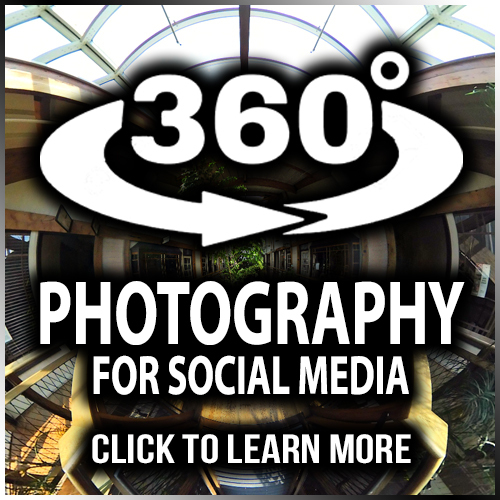 360° Photography gives the feeling of standing in the photographer’s shoes by wrapping a panoramic photo around a central point in space. They can be viewed on your computer, mobile device or VR headsets by rotating the view left, right, up & down. Choose a photo below, then CLICK & DRAG to look around. You can also click the Full Screen Icon in the upper right to maximize the experience. 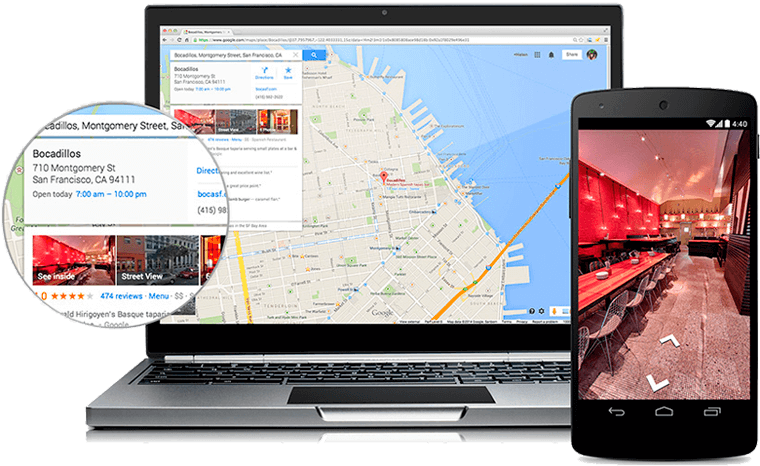 Showcase your Business on your Google Maps Listing with Beautiful 360° Photography. 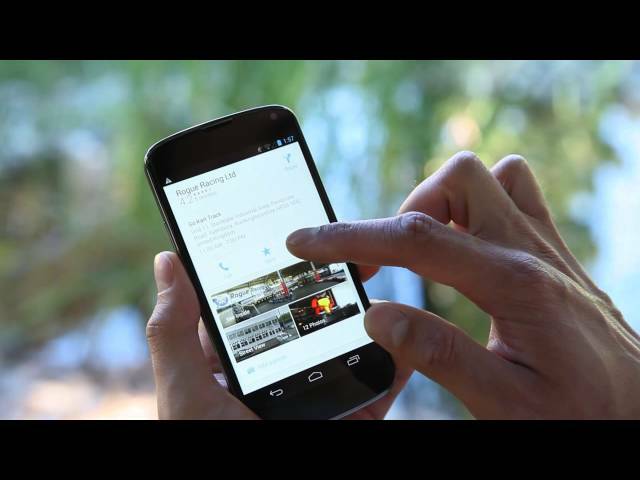 Sharing 360° Photos on Facebook is as Easy as Just Adding a Photo. 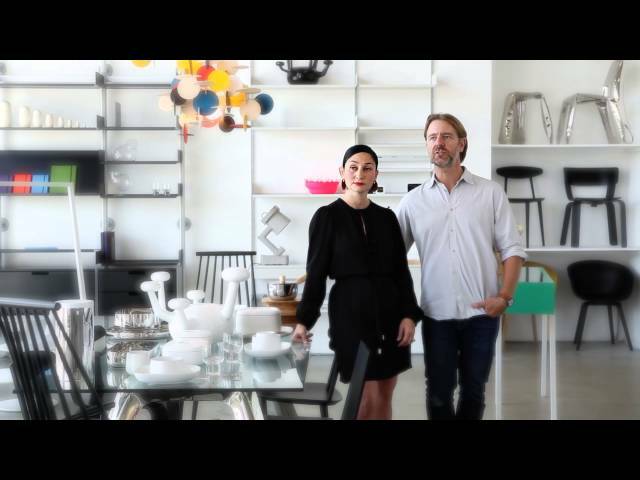 Let facebook users view your business like they were standing there. Hide something in the 360° Photo and see who can find it first with a clue. 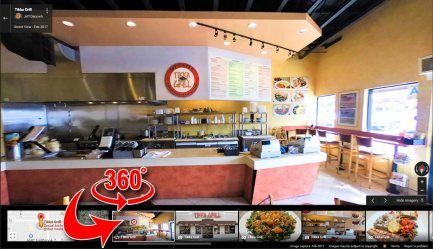 Everybody Loves New Tech… Surprise Them with a “New” View of Your Store in 360°. It will automatically be displayed in a nice viewer that people can click and drag to move around, or just spin around with thier phone in thier hands. Share 360° Video on YouTube & Post it Anywhere. 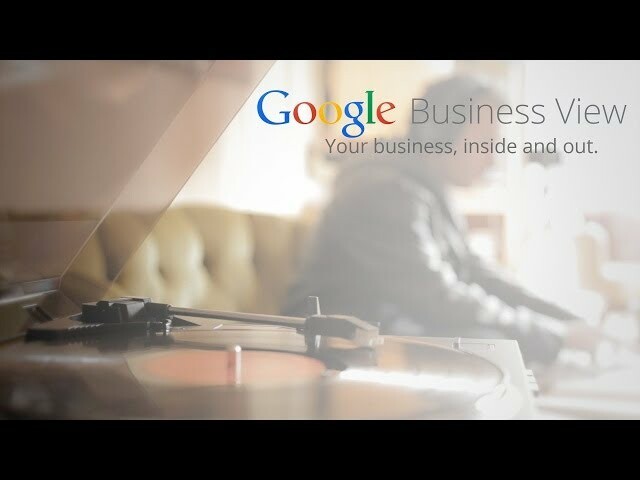 Like any other video , just upload it to your account, and You Tube will automatically recognize it as a 4k 360° Video. Then just share it on your favorite platform or get the embed code to paste it on your site. The video above was shot taking one photo every 2 1/2 hours. The bright glow behind you is the lights from Los Angeles. 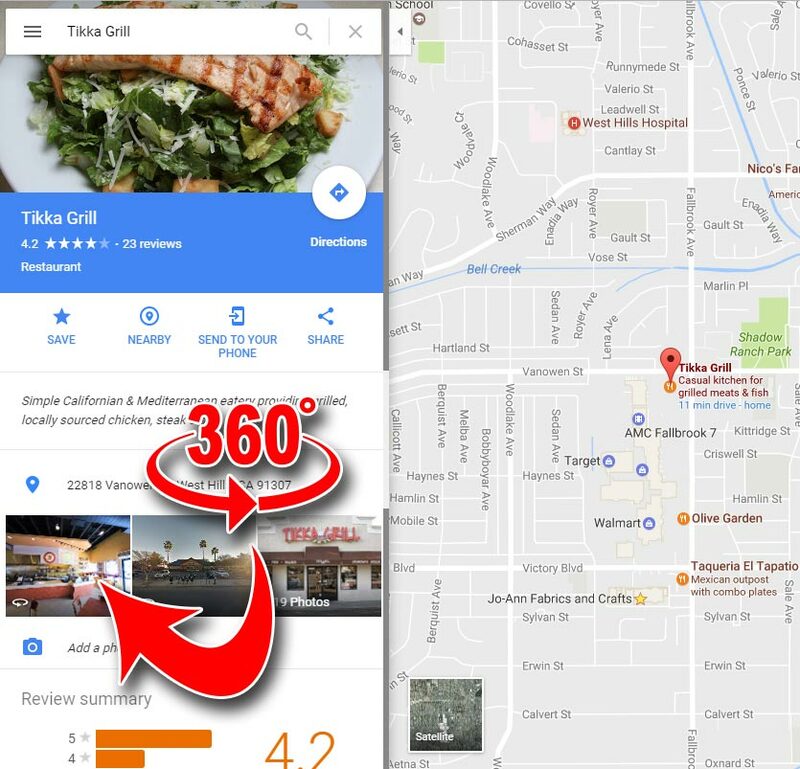 360° Photos can be embedded into your website. 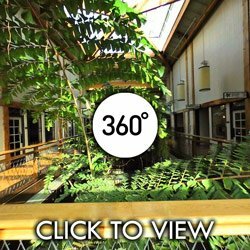 We will work with you to provide custom code to add a 360° photo to your own website. 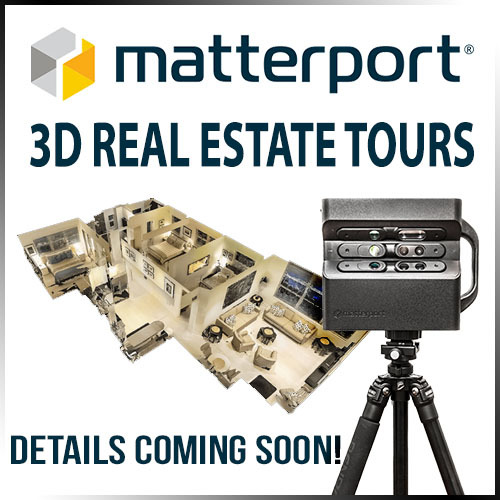 Also, several 360° Photos can be linked together to form a tour. Click the image below and look for small black icon in the photos to move to the next location. Another Way to enhance and display 360° Photos is to use the www.Kuula.co… All of the gallery photos on this site are hosted by Kuula. Please contact us with the form below, email us or give us a call.